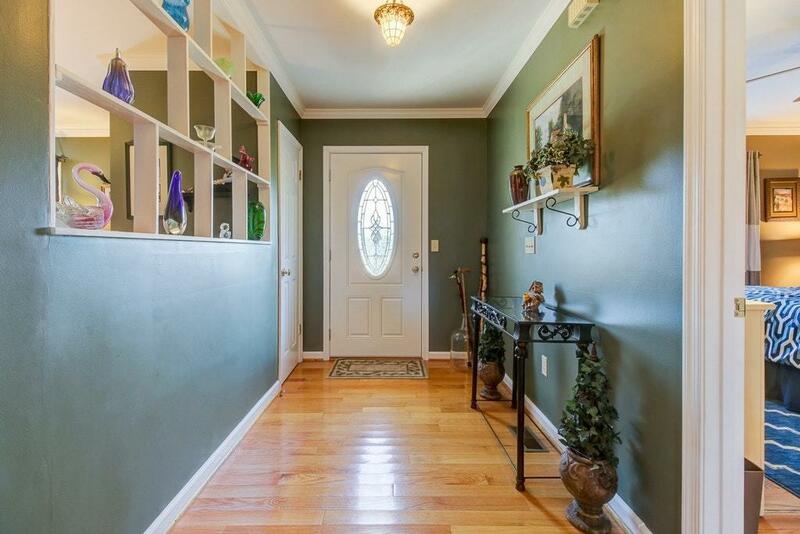 This home is truly a showcase! 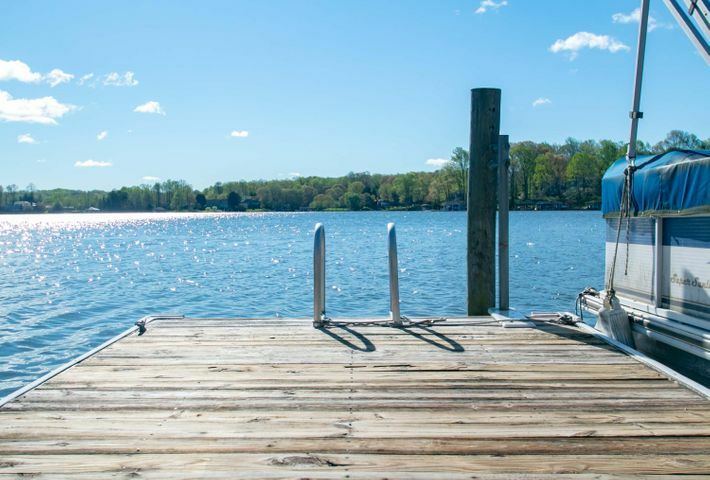 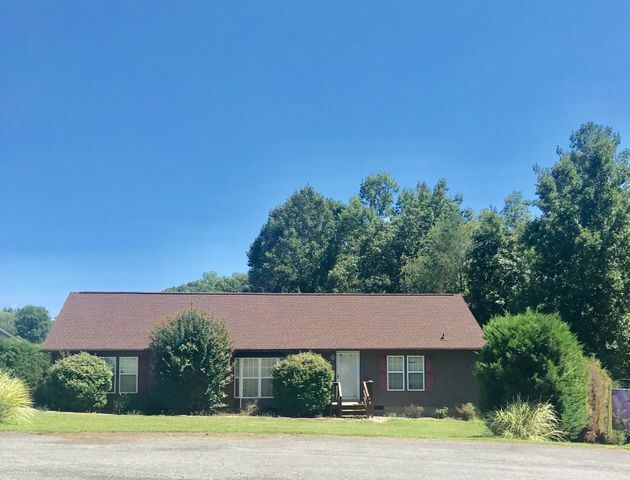 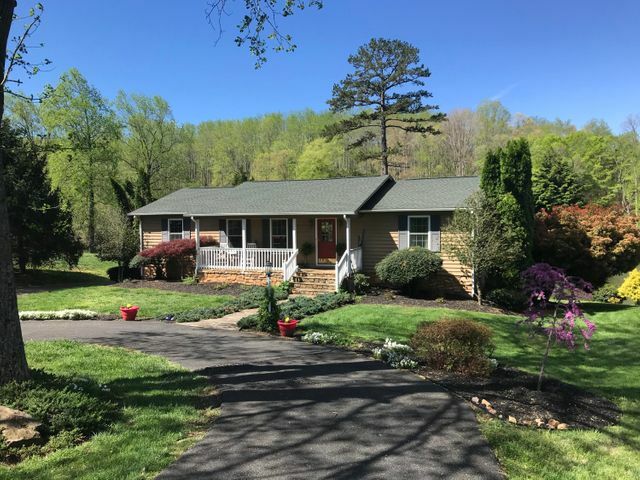 Live in total tranquility in this immaculate condition rancher on Water-frontage w/ dock and easy access to the water. 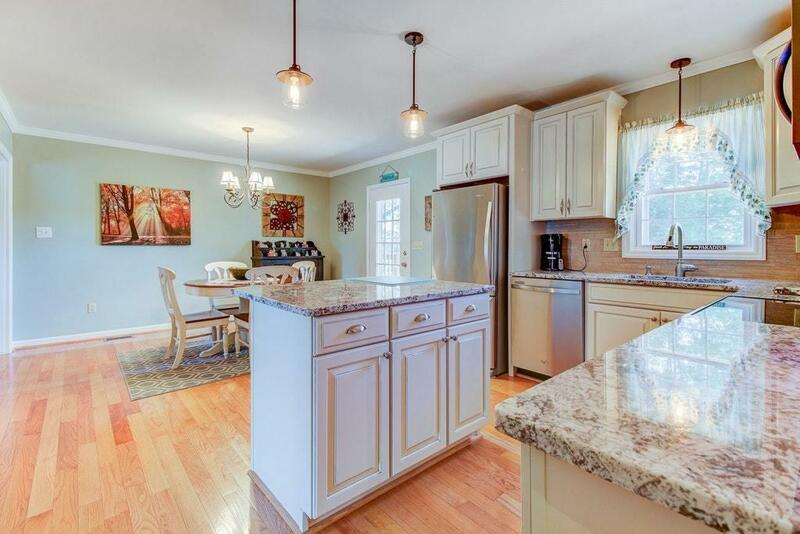 Kitchen & Dining area Combo w/ granite and center Prep Island and easy close cabinets. 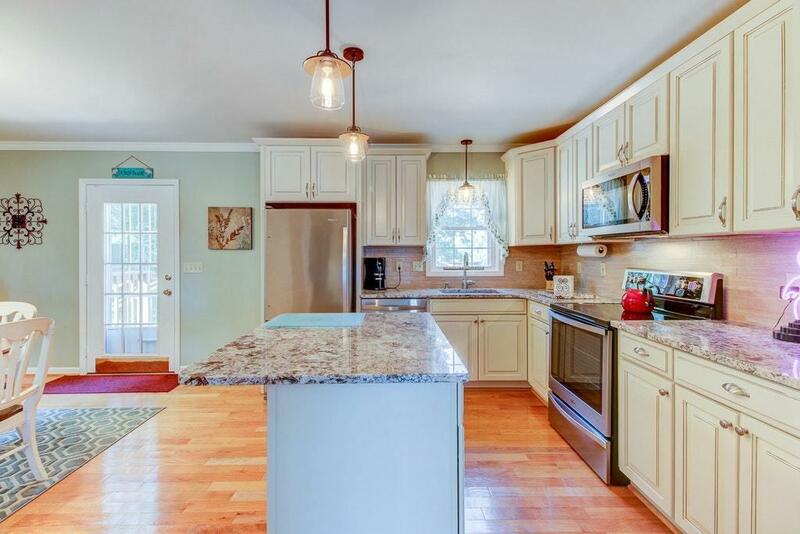 The well-equipped kitchen makes entertaining easy for everyone. 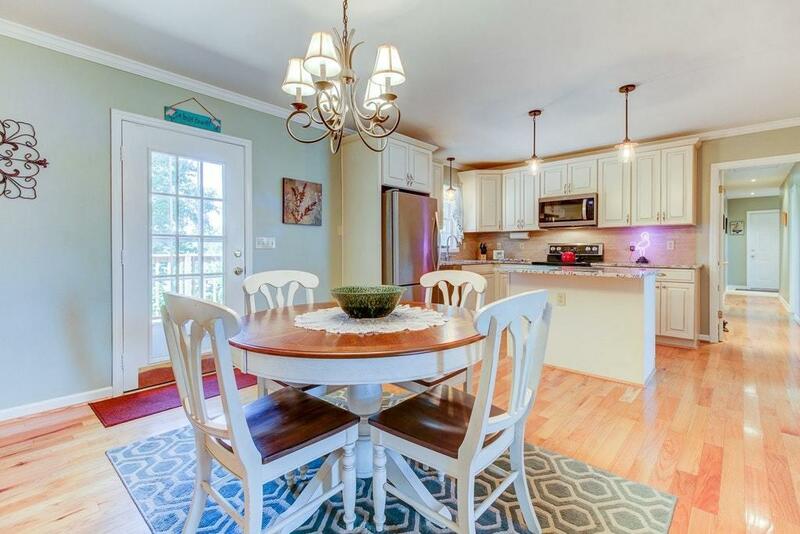 The bright Dining area has walk-out to Deck. 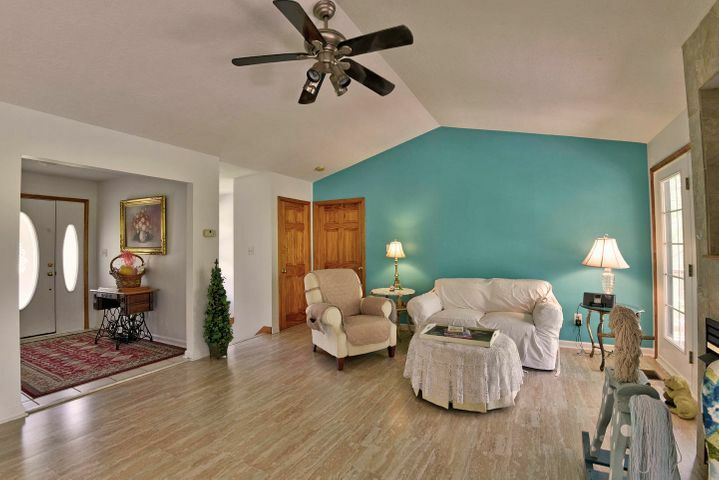 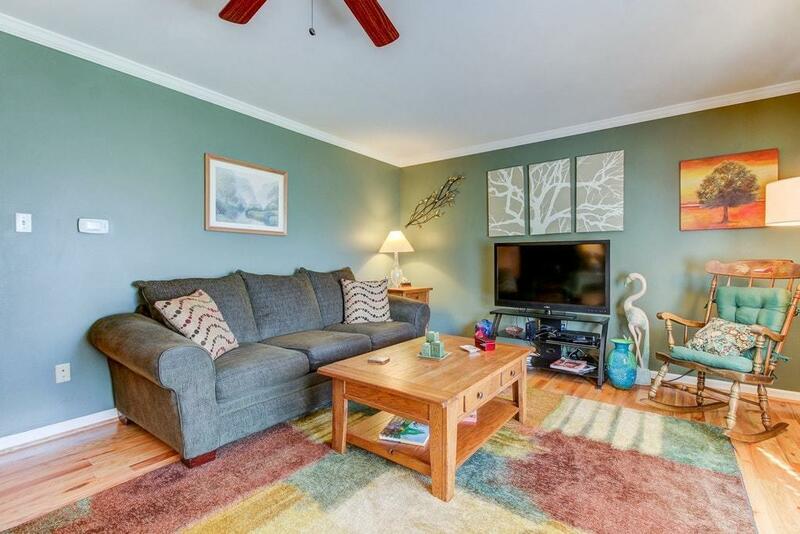 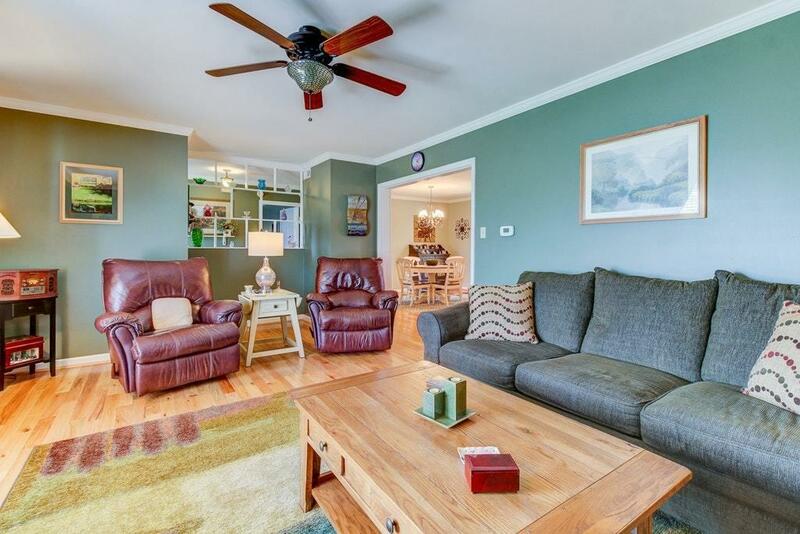 The huge living room has a large bay window and red oak hardwood floors for easy maintenance. 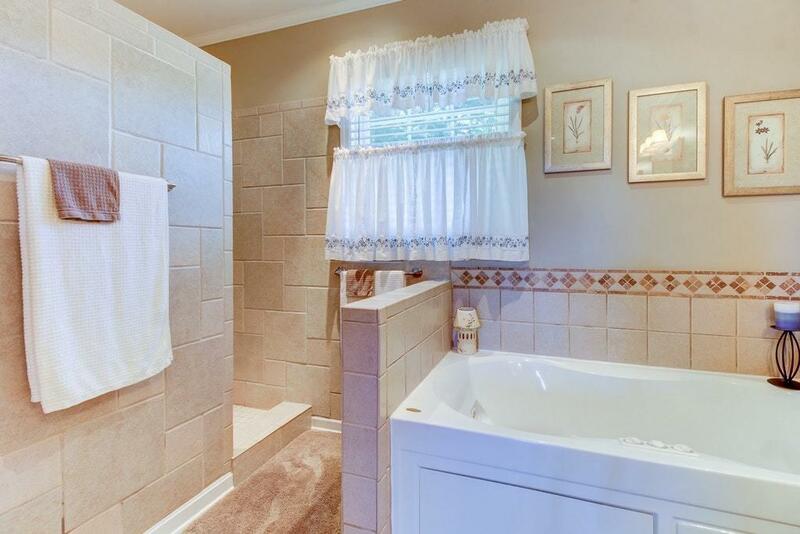 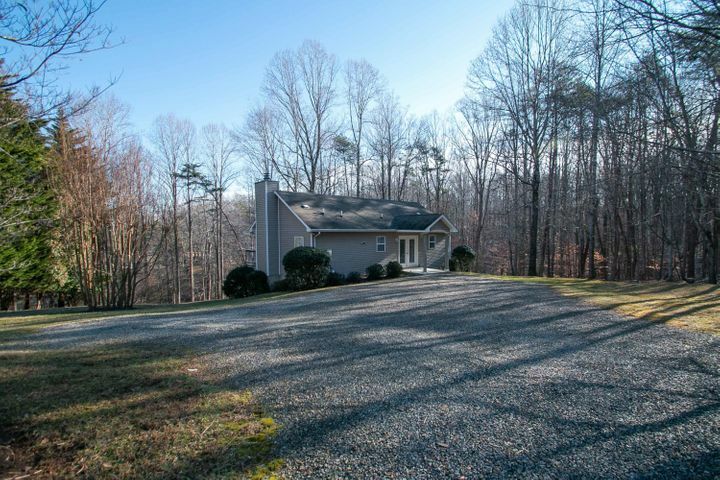 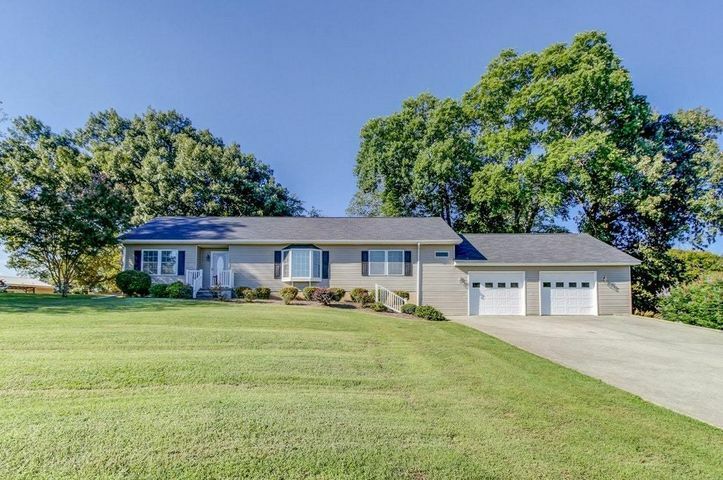 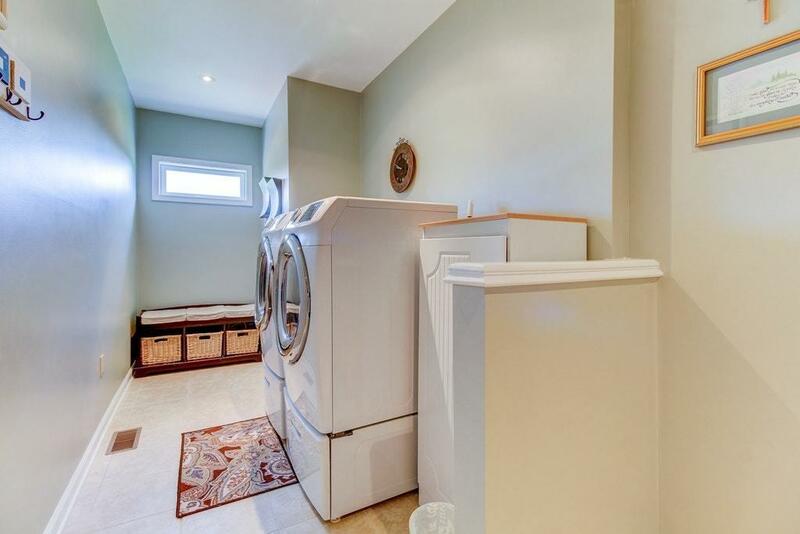 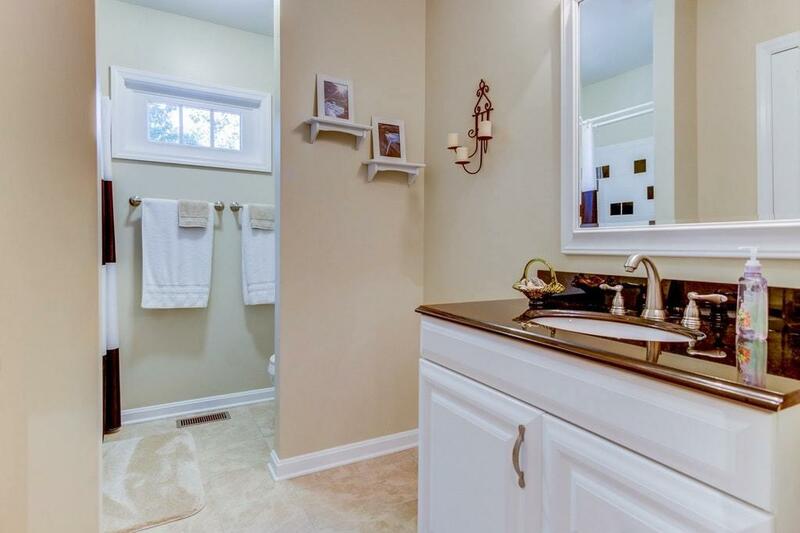 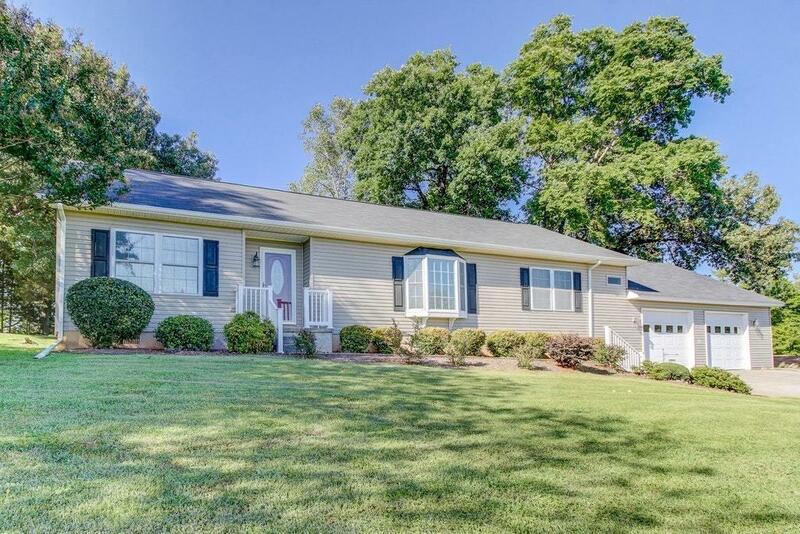 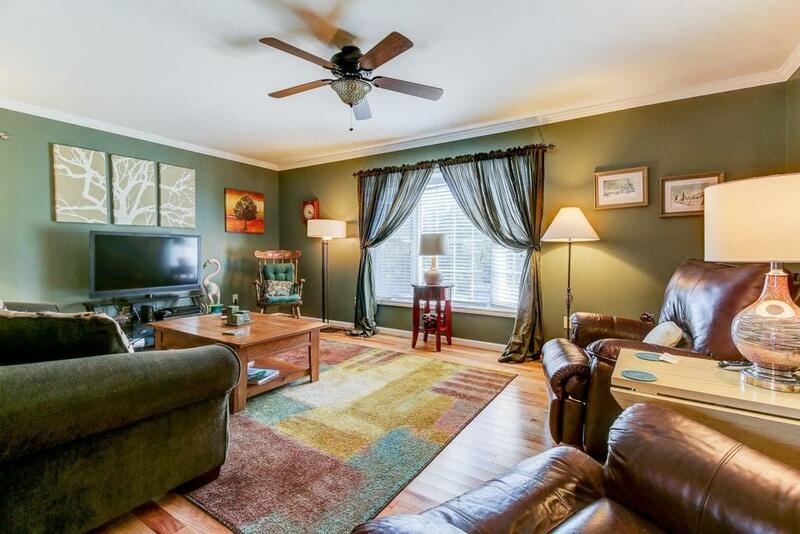 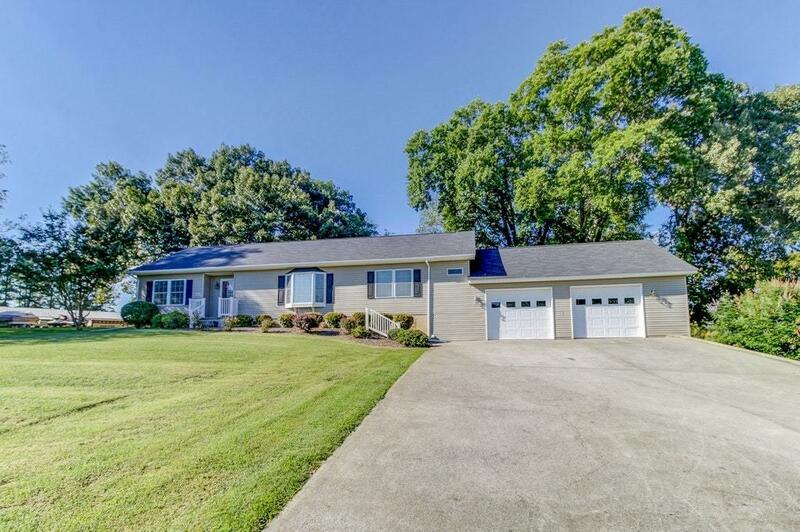 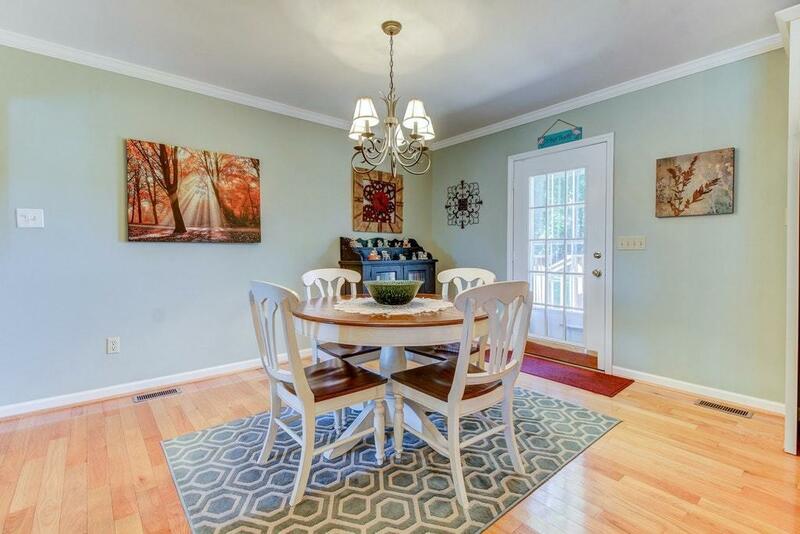 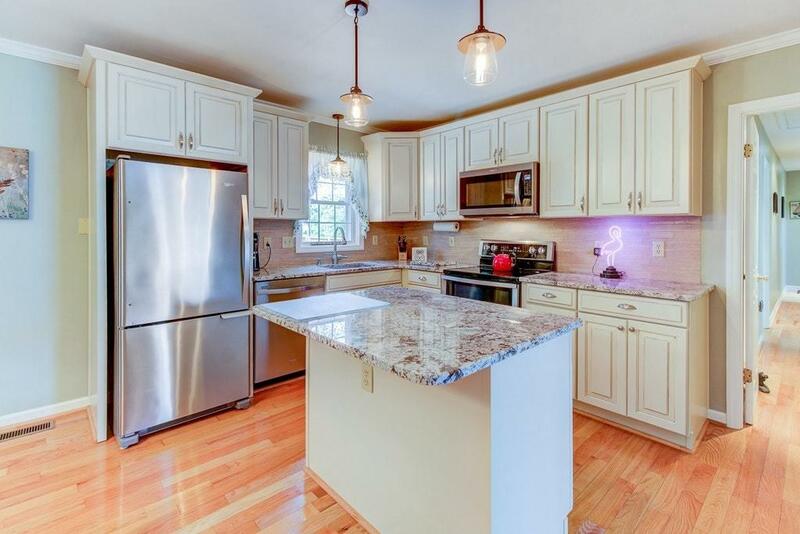 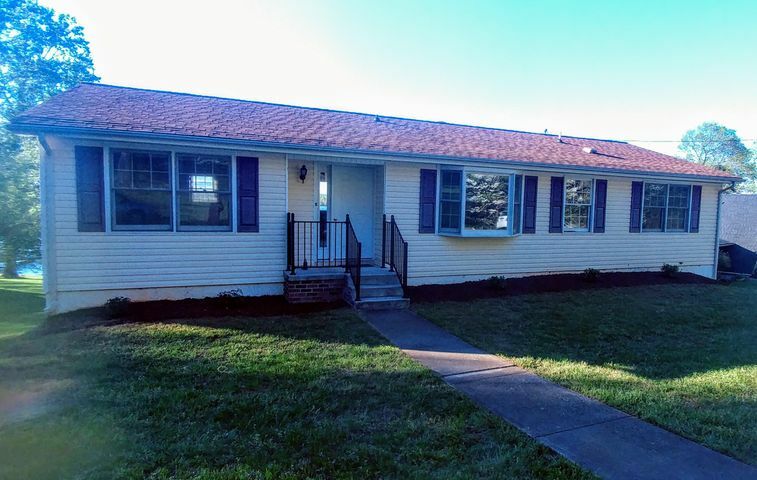 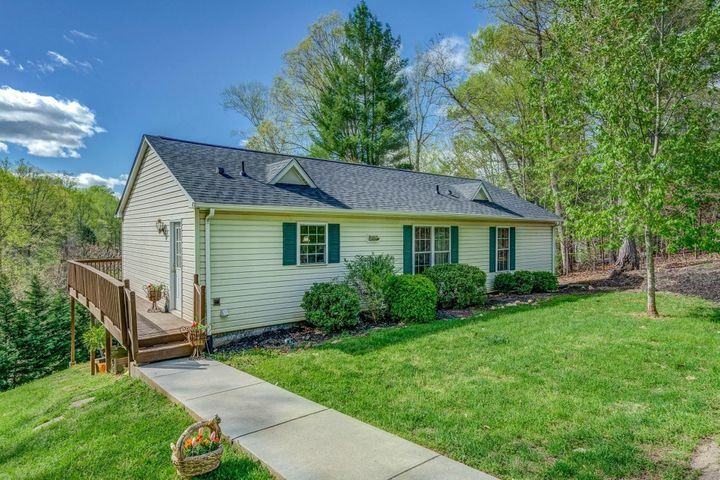 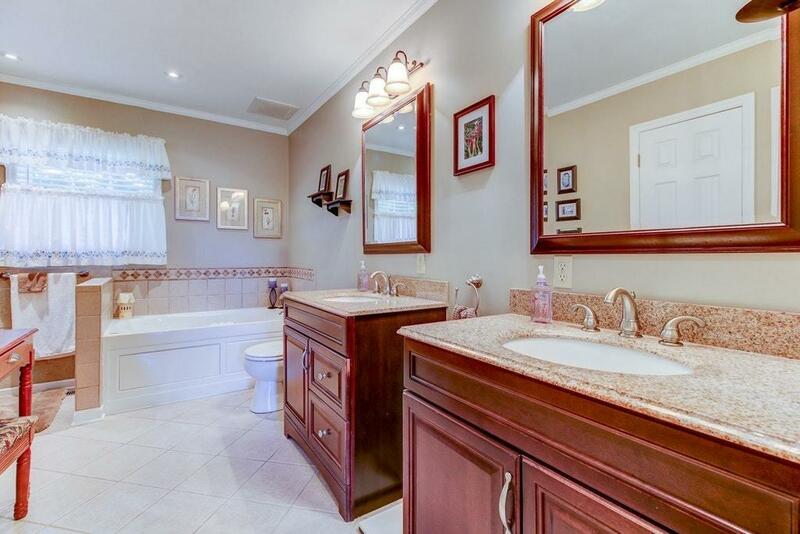 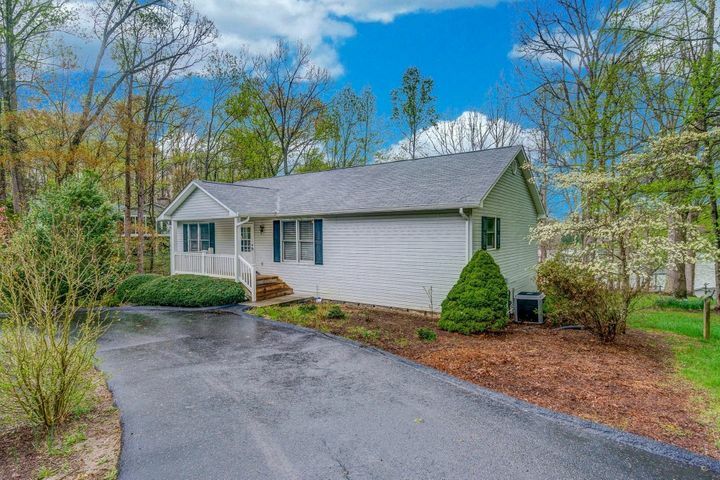 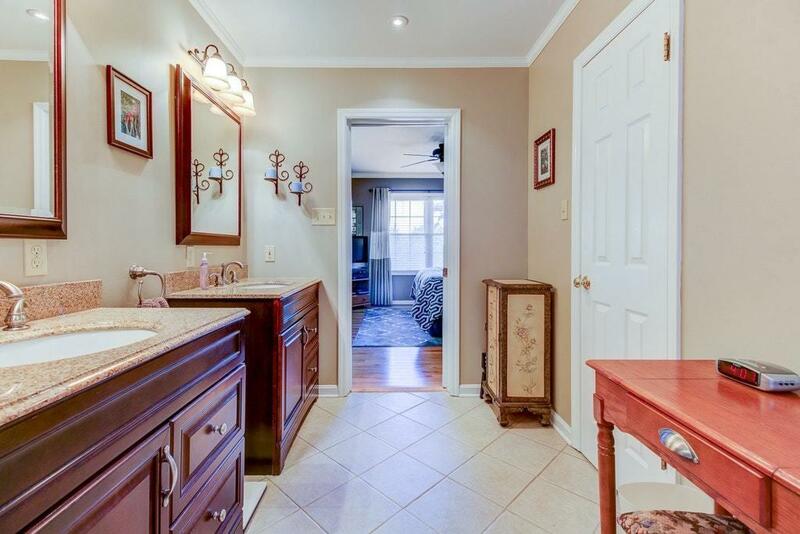 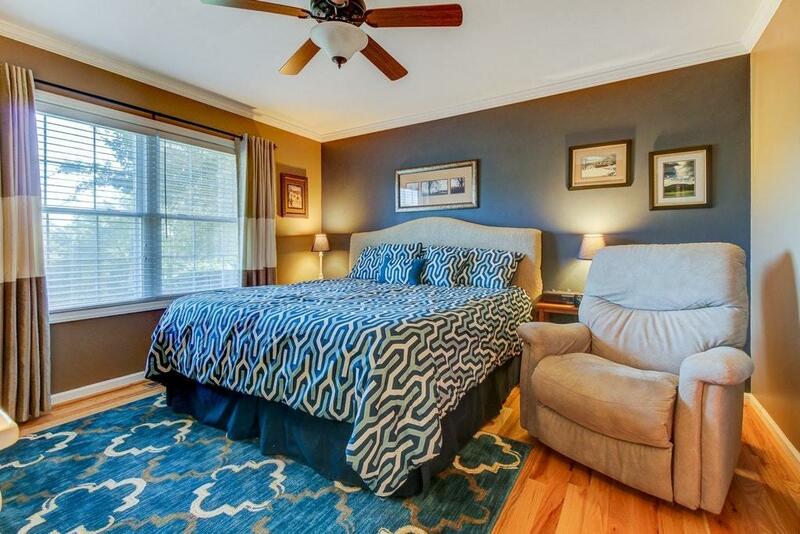 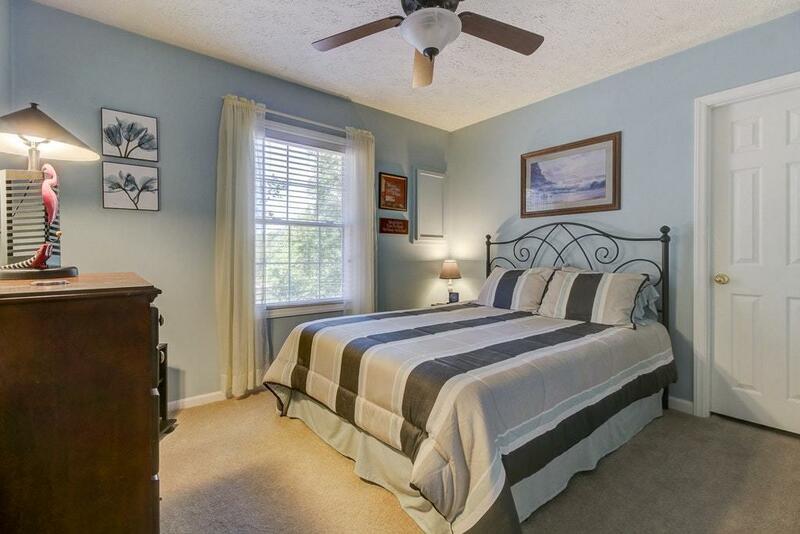 Spacious first floor Master w/ walk-in closet and red oak hardwood flooring. 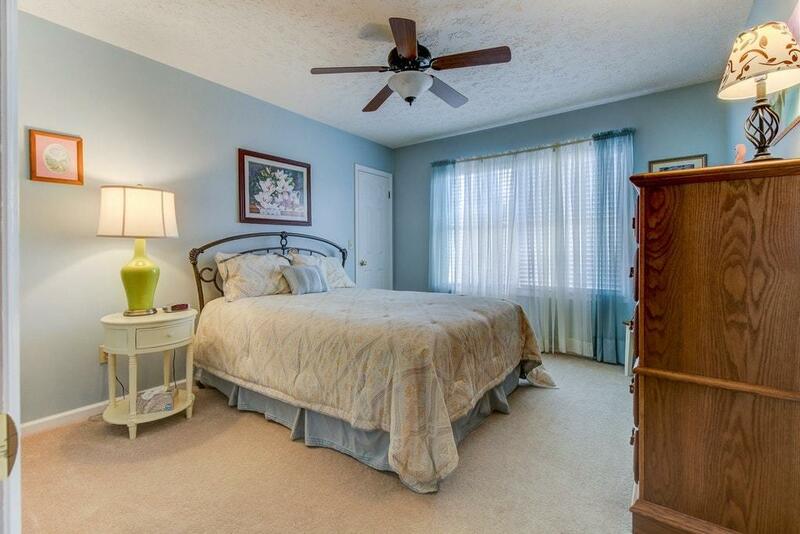 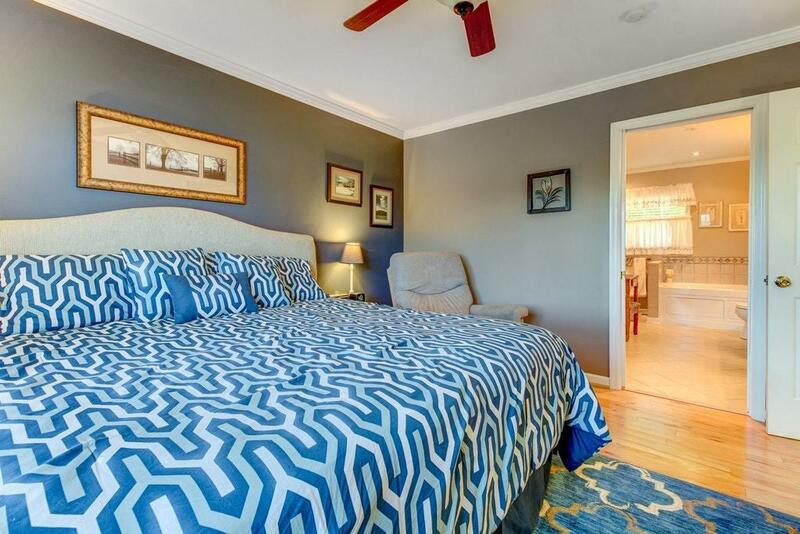 Two more bedrooms have new carpeting. 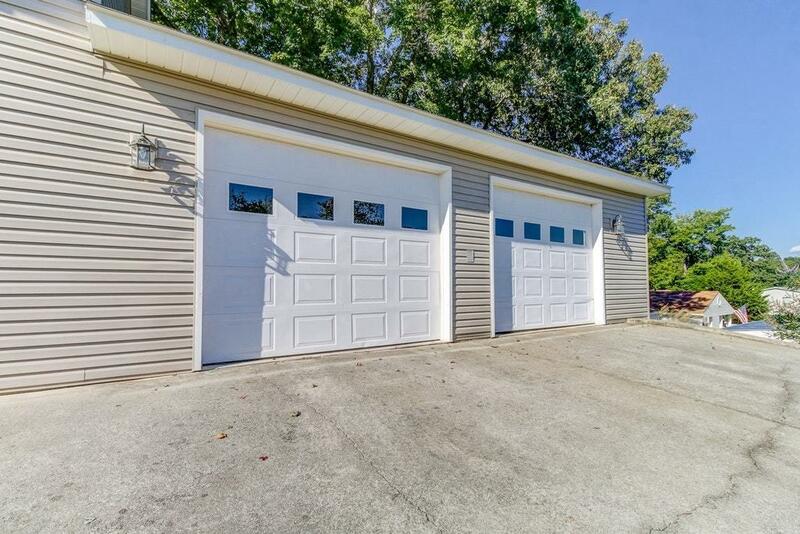 Two bay oversized garage w/ tons of storage. 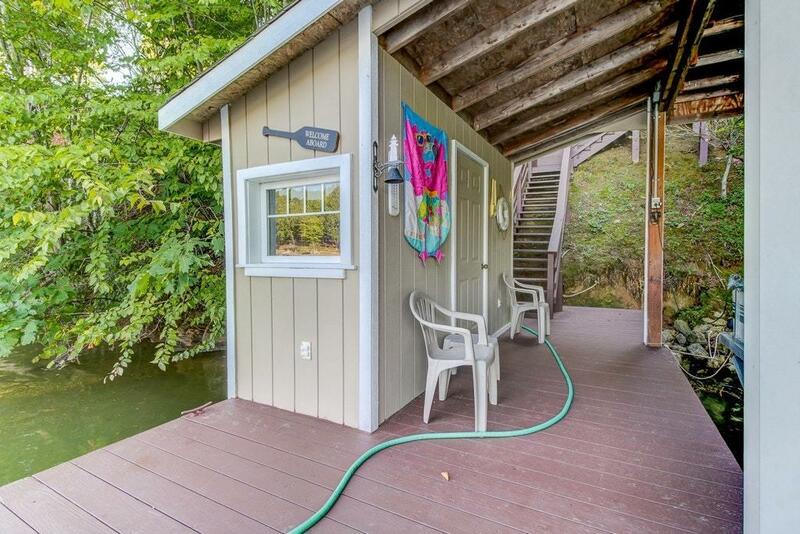 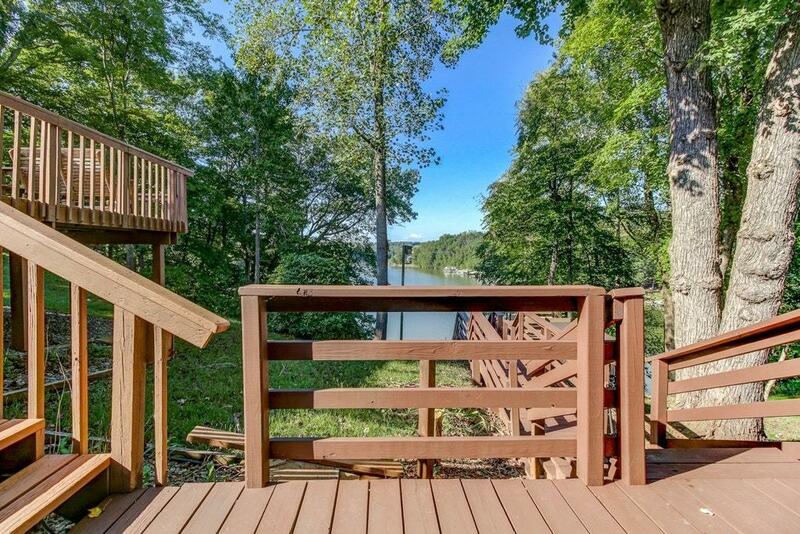 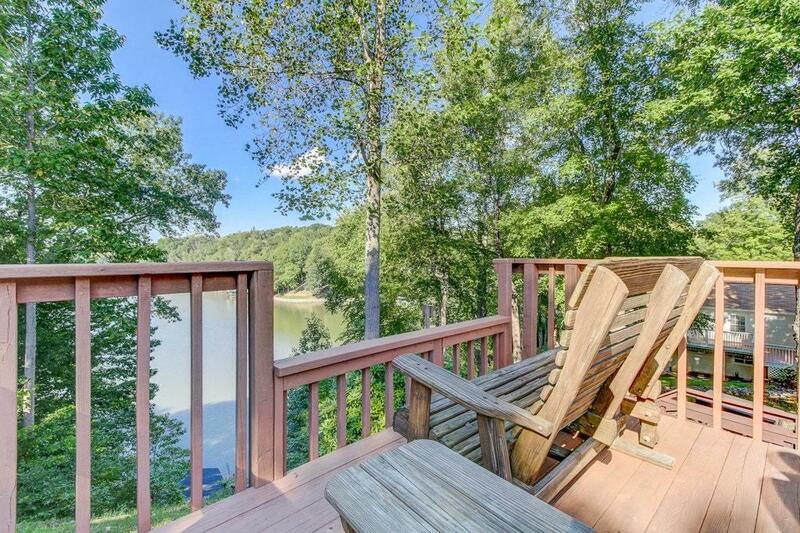 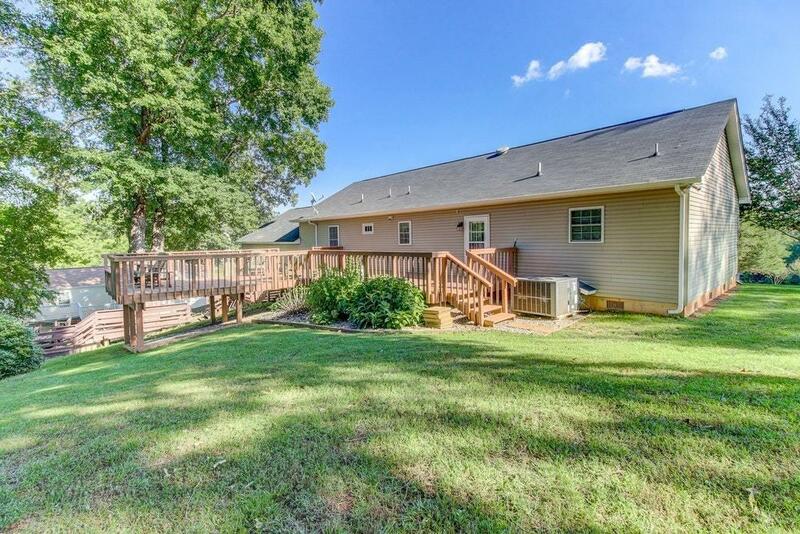 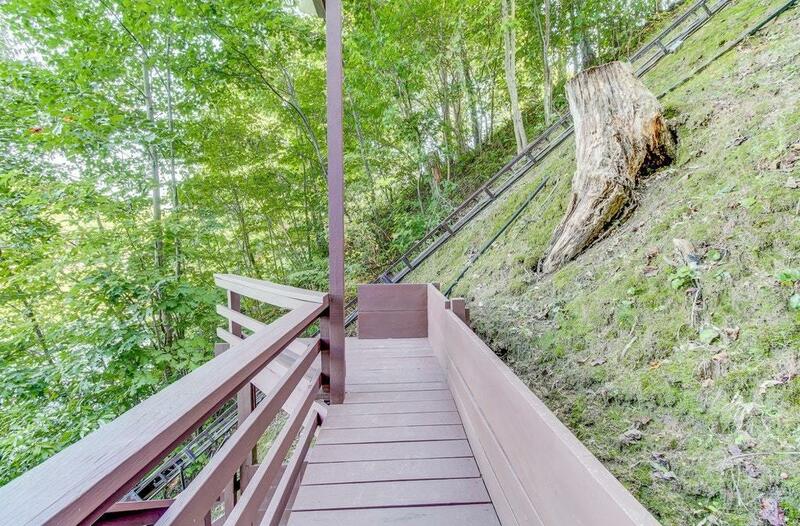 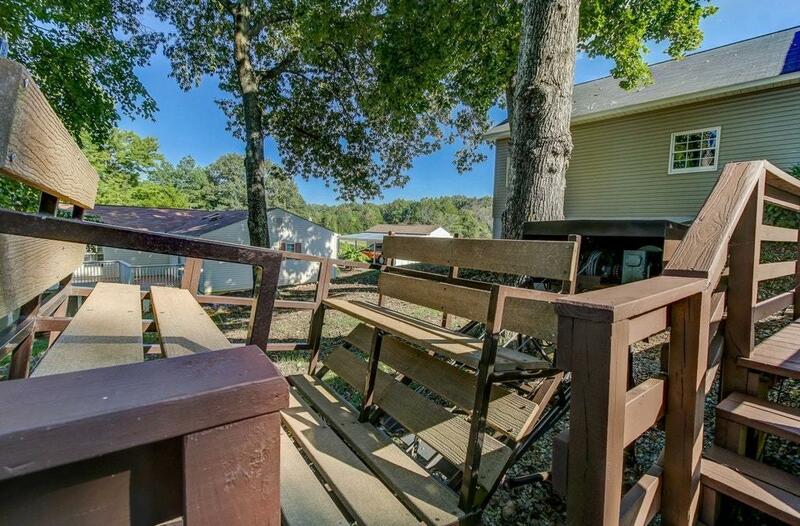 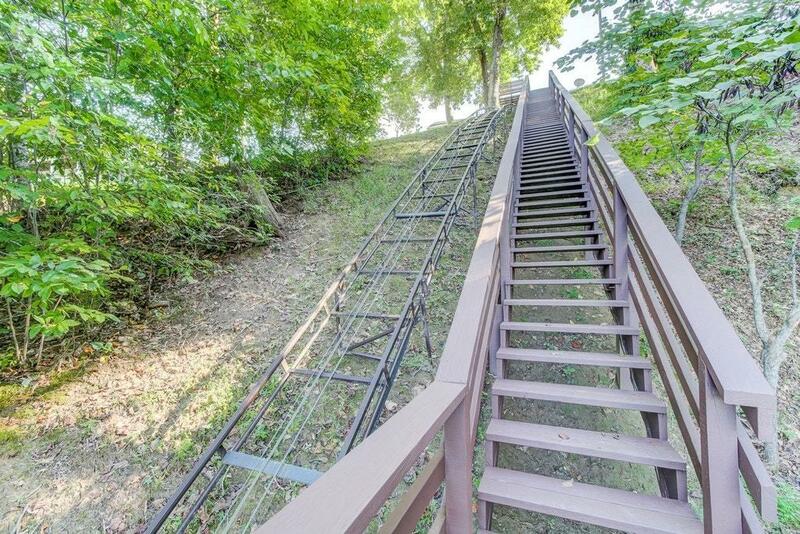 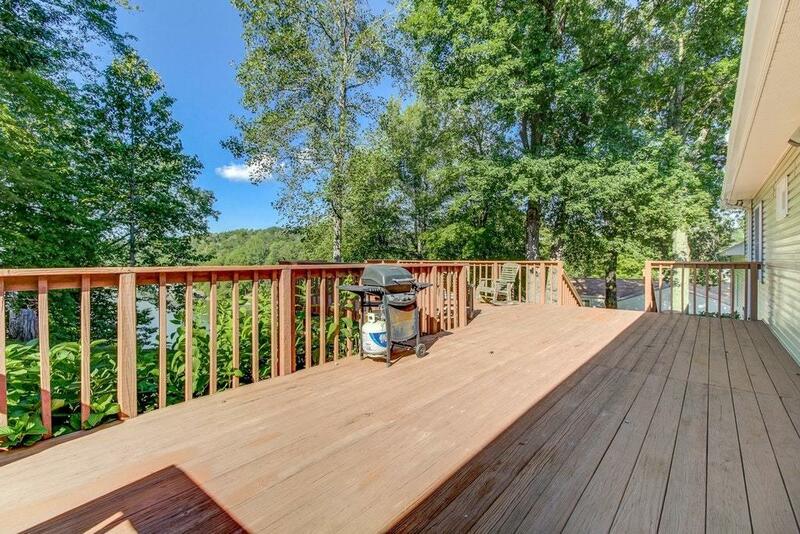 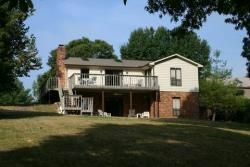 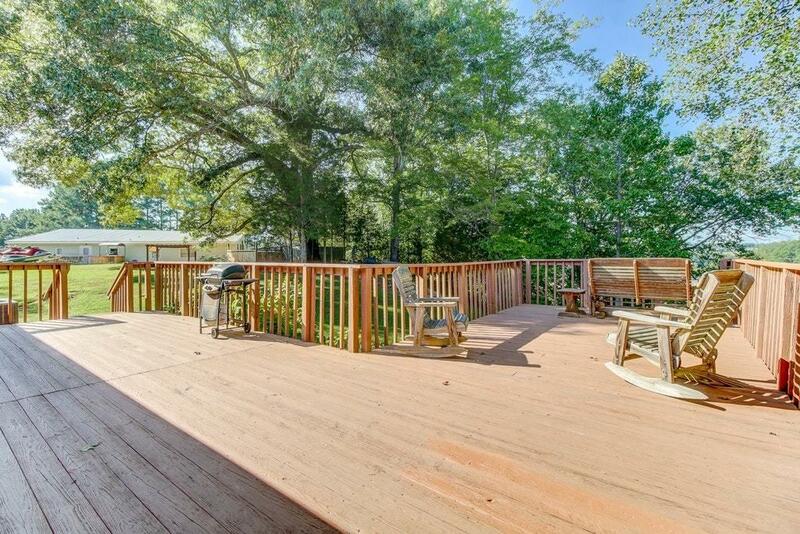 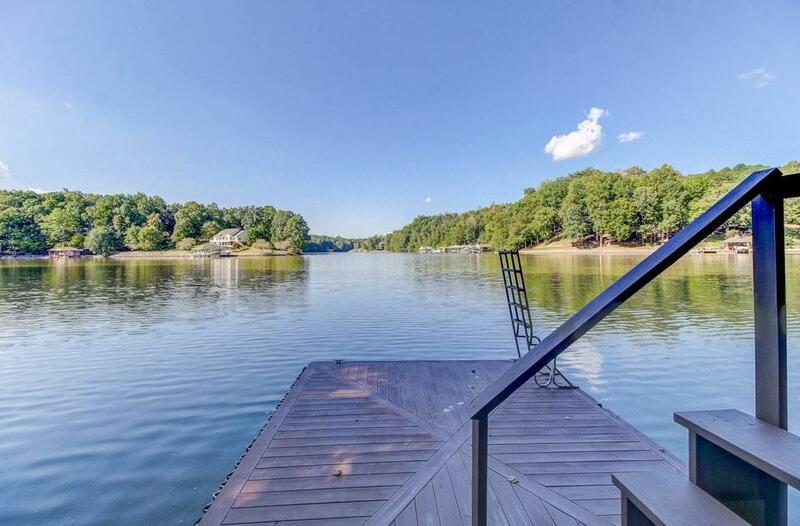 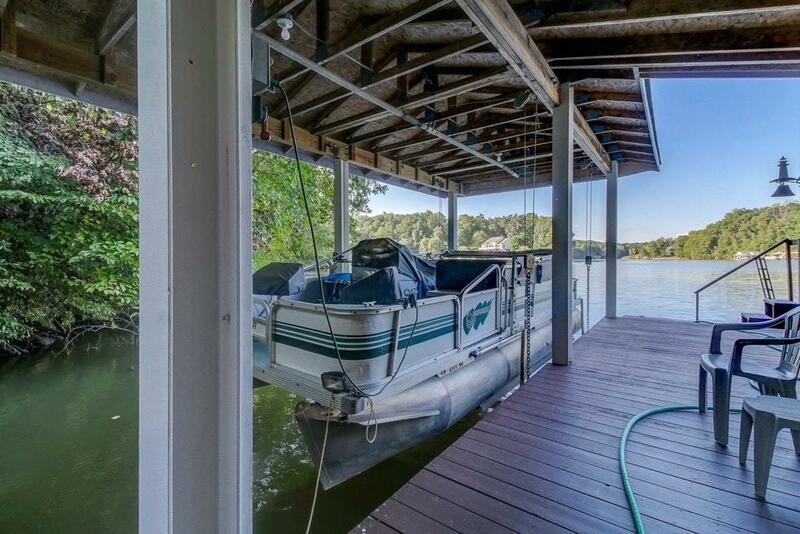 Multi-level Deck provides for excellent waterfront views! 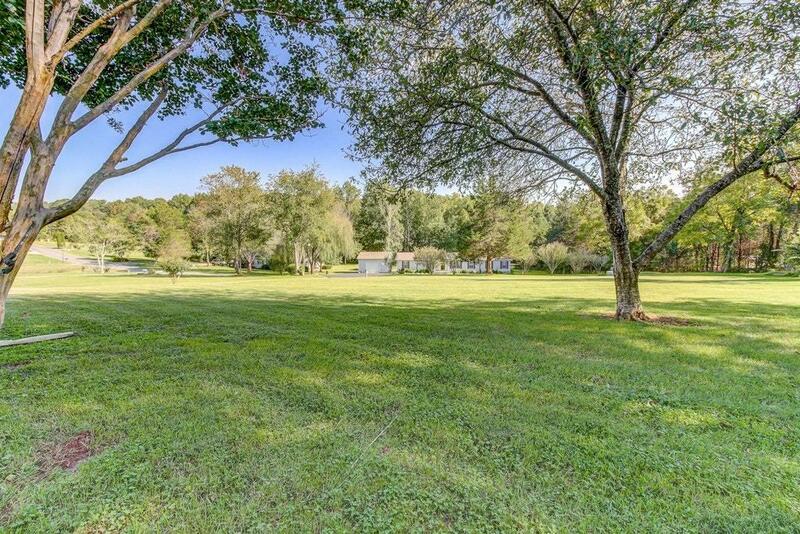 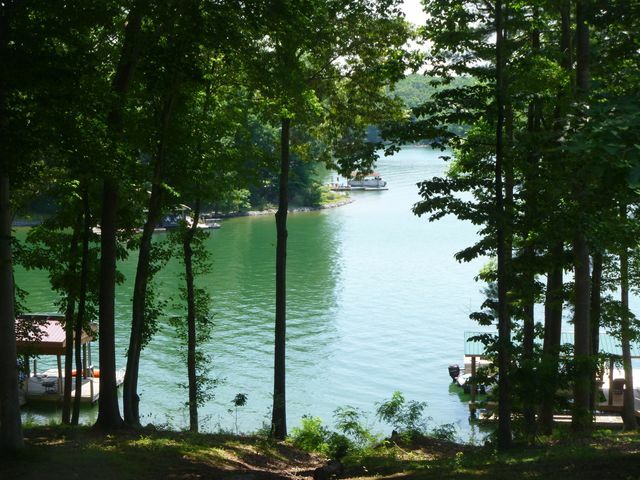 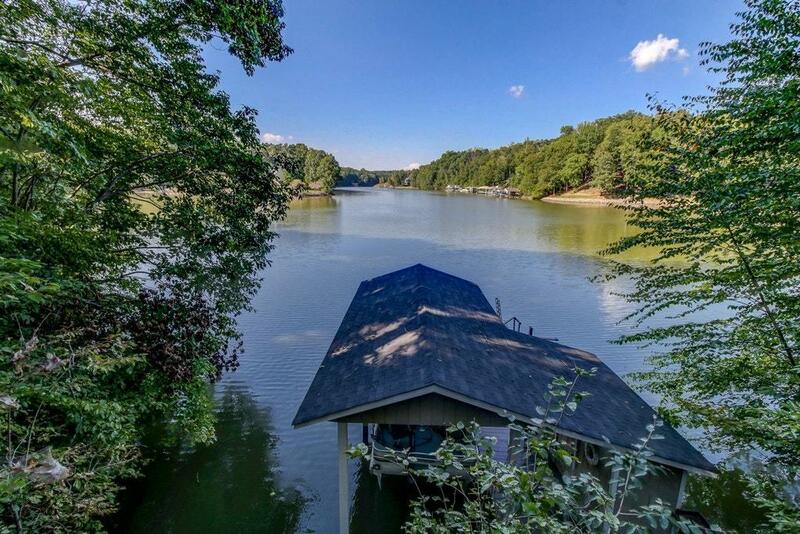 Enjoy serene natural setting - Bring your boat & Kayak as this is the perfect Cove for you!